There is no doubt that the role as a B2B-marketing manager is complex, and that the challenges are many. 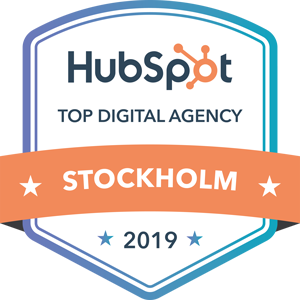 Therefore we invited some of our largest customers' marketing managers to an inspiring workshop with HubSpot's marketing manager wizard, Susanne Rönnqvist Ahmadi, to identify the factors that create the most friction in an organization. And in addition, to find simple tools that the marketing manager can use, to reduce friction and increase the force, in order to generate growth and build successful customer cases. 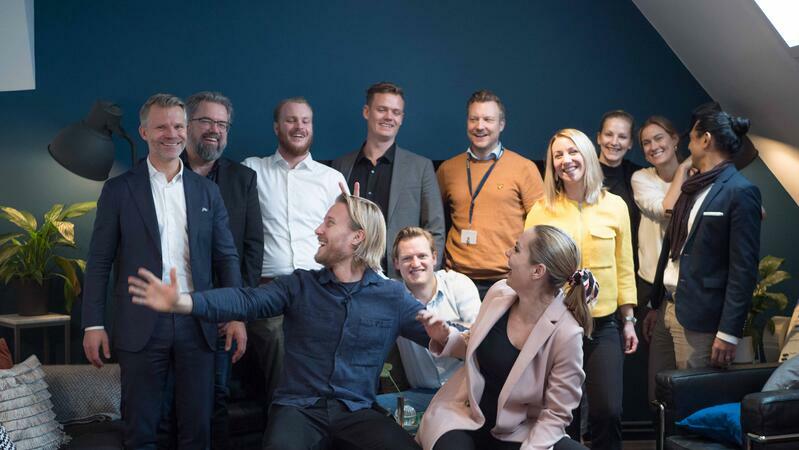 After the first inspiration day that we held with our customers at Stallmästaregården last year, we realized that there is a great need to continue to highlight and discuss the challenges the B2B-market manager is facing, in the role and the organization. So, of course, we couldn’t stop ourselves from setting up new sessions. First up, March. We crossed our fingers when we asked Susanne to continue the inspirational journey together with us. Luckily, she said yes and we were so happy that we got the opportunity to steal her away from HubSpot for a day. Since a few of our customers have not swung by our new office yet, it was great to spend this inspirational day “at home in our living room”. When everyone was gathered and seated around the table, with the first to fourth cup of coffee in hand, the atmosphere could not have been better. Beyond the fact that we would love to hang out with our customers everyday if we could, it is incredibly rewarding to see how our customers and Susanne are enjoying each other's company. Considering the fact that they may have only met once, a few times or maybe never before, it is amazing to see how many tools and experiences they can all share with each other. When planning of our first workshop together with Susanne, there was no doubt that the theme of the first sessions should be force and friction. You might wonder what these two words have to do with the role of a marketing manager? We'll explain. Friction means all those things that may put a spoke in someone’s wheel within an organization. The friction can exist both internally and externally. Internal friction can be anything from that the sales and marketing department not communicating with each other, to a lack of competency within the team. Whilst external friction may be the customer's experience in the company's digital channels. The force on the other hand, is just as it sounds: what drives the company forward. Simply put, all the things that are done really well. The force and strengths of an organization can, for example, be found in the creation of content and in successful marketing activities. We should also clarify that friction does not only have to be something negative. Can you bring all the markets within an organization together, and jointly agree that a specific friction exists, which also has to be tackled, it can actually bring us forward. As a team. The workshop began with Susanne briefly summarizing what topics and challenges that draw the most attention and discussion during the last meeting at the Stallmästaregården. 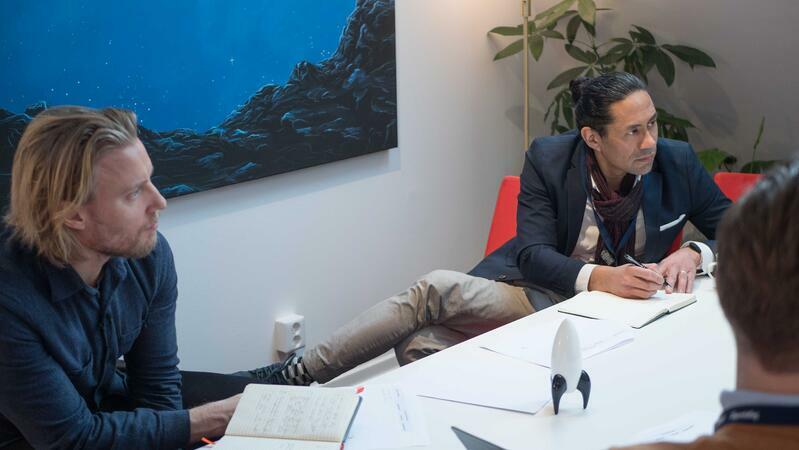 I think we all agreed that one of the biggest points of friction is how to anchor an idea and essential changes within the organization with, for example, the sales management or the CEO of the company. Marketing is marketing, and sales are sales, it’s “us” and “them”. We do completely different things, have different agendas, goals and work processes and we do not communicate more than necessary over the "borders". Sounds familiar? For the marketing manager, the most important tasks are the ability to drive force, increase growth and reduce friction. It is not possible to do one without the other, they have to dance along. 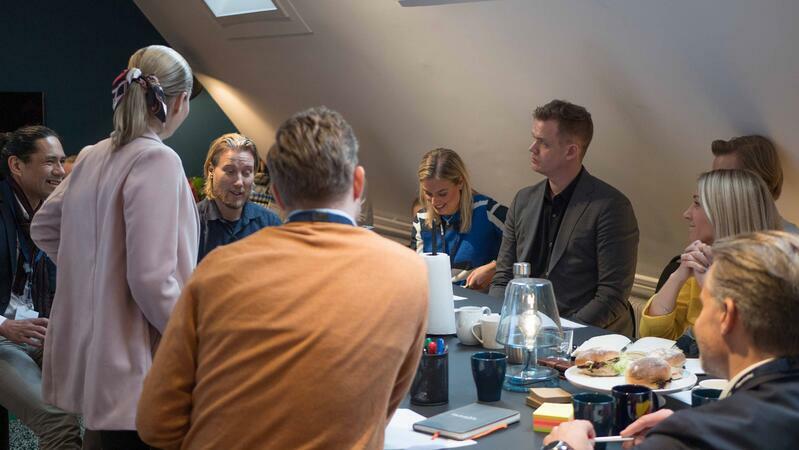 Susanne emphasized the importance of a strong dialogue between sales and marketing, and to jointly agree on common goals within the organization. This is key to successful customer cases and a network of ambassadors. There are many tricks to reduce the barriers between the teams. Why not, for example, start joining sales at internal sales meetings? In order to get a better understanding of how their processes look like, what challenges they face and what the market demands. It probably won't come as a piece of news that the company's customers are a prerequisite for being able to grow as a company, become strong and successful. But a lot has changed in the past few years. Today, we consume content in a completely different way, we are constantly increasing our expectations, and we absolutely do not accept friction. The demands of today's consumers, are simply higher than they have ever been before. Susanne talked about her long, but also complex relationship with the idea of the classical funnel. The funnel helps you motivate investments, push sales departments and explain marketing’s role in your business. There are pros and cons of each funnel. What happens at the end? And what happens when a lead becomes a customer? Susanne presented the idea of flipping the tunnel upside-down, to meet the needs of the business. Keep in mind to not lose the internal business on the road - because in the end, it is always the absolutely most important thing. Find methods that suit your business, build a pipeline with leads, and turn your customers into ambassadors. The more satisfied customers you have, the greater the reward and growth. With an intense focus on your funnel, you risk losing the most important channel of growth - your existing customers. It is harder to rank high in search, on Facebook and Instagram due to new algorithms, new rules and changed conditions. So to be completely honest - the funnel is becoming increasingly outdated. Instead, it is our ability to capture, maintain and release energy the James Watt-way (yes, the guy who invented the light bulb) in a circular process that will be crucial for growth. The more we can increase the force in the circle, and the less friction it has - the faster it spins. And with satisfied customers - we maintain and increase the force; at the same time as we add new ones. Forget the idea of specialised teams and functional structures. Focus on the customer’s experience: make changes only if they mean improvement for your customers. Friction-prioritize on the basis of how you make it easier for the customer! Not based on internal friction.